When you are getting ready to move, we understand it can be exciting, overwhelming, and exhausting. When you need reliable and friendly storage we are here for you. Additionally, if you need to rent a trailer, find the cheapest moving truck rental, or buy moving supplies and packaging for your move, Metro Self Storage is always here to help. With so many things on your to-do list, it's comforting to know your storage facility has a partnership with a reliable moving truck rental company. Questions about pricing and availability for a moving truck rental? Call or go online to Penske Truck Rental. When you rent a truck, it is important to follow the company's rules and guidelines for your safety and the safety of your belongings. Moving truck companies advise maintaining several car lengths between the truck you are driving and the vehicle on the road in front of you. Avoid tailgating because trucks and fully loaded trailers will require more time to come to a complete stop. Moving is a great opportunity to declutter and get rid of the things you no longer need. 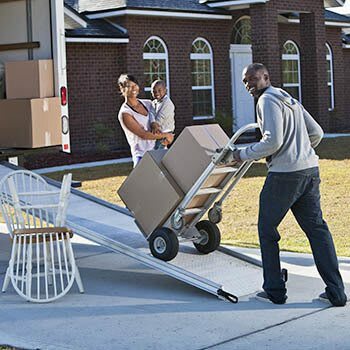 If you sell your extra things on Craigslist or have a garage sale, you can make some money and won't have to invest in the moving equipment and packaging to move items that you no longer want or need.